We build on children's interests. 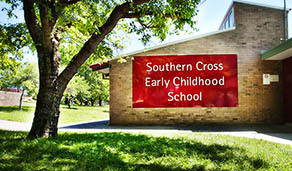 Southern Cross Early Childhood School is situated in Scullin in the Belconnen region of the ACT. The school caters for children from birth to eight years, and offers integrating services including child care, Preschool to Year 2 education and a range of community programs. 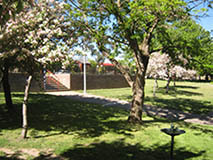 The School is built on the land of the Ngunnawal people. 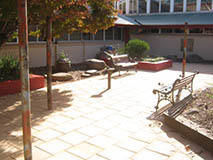 The contribution of the traditional owners of the land is acknowledged at all school functions. The school ensures continuity for children in both their learning and relationships during their early years. The School's motto, "From Little Things Big Things Grow", encapsulates the value placed on providing a caring and nurturing environment for our young children to grow and develop into active and successful members of our community. High quality early education is offered through a focus on play-based learning; explicit teaching of Literacy and Numeracy; Environment Education; the Switching on Program and the Arts. The weather was in our favour last Friday and the rain stayed away at least until we had a light shower on Saturday morning just as we were packing up. It was so lovely to join with our families and staff who were able to come to CampOUT! 2019. We had nearly 60 families (and over 100 children) join us this year with a wide range of very experienced to first time campers! After our twilight disco, bird hunt and story with Jason, I think everyone got some sleep at some points in the evening!!! I would like to thank our amazing P&C for all their organisation, support and especially for the yummy breakfast. My thanks also to Jason and Jose for all the behind the scenes work that goes into preparing such an amazing opportunity for our community. Funky Hair Day combined with a Community Breakfast last Friday was a lot of Fun! Thank you Southern Cross! We raised $180.25 for the Leukemia Foundation. Thank you so much to our families who were able to join us for our Family Picnic last Thursday. 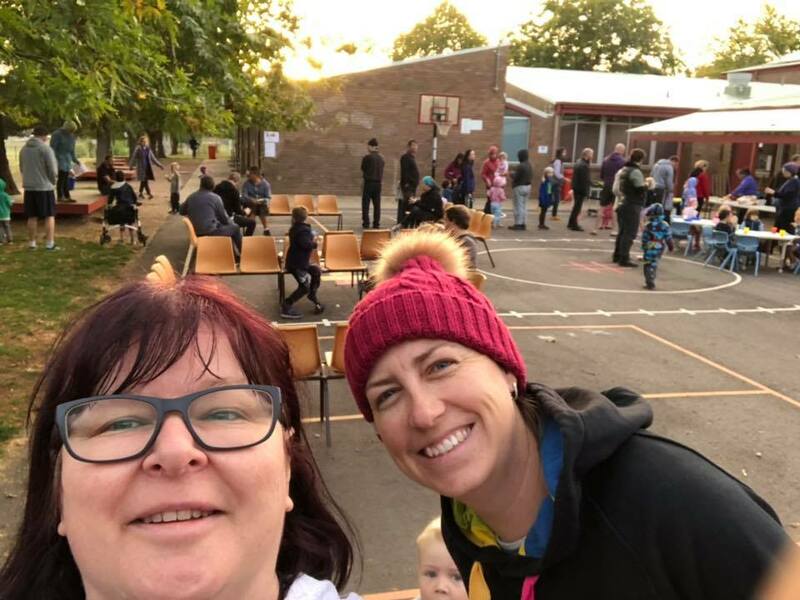 It was such a beautiful evening and so lovely to see our families connecting with each other. It was a perfect evening for our Family Picnic a a great opportunity to welcome our new families into our Community. A big thank you to Jason and the team for setting up and packing away. If your child turns 4 years old before 30 April 2020 they are eligible for enrolment in an ACT Education Directorate Preschool. Applications for Enrolment for the 2020 school year are available online from 29 April 2019. We are holding Preschool Information tours before enrolment opens to enable you to view our preschool sessions in action and give you a chance to ask any questions you may have. Nearly 30 children performed at Parliament House last Wednesday 27 November 2018 as part of the Shooting Stars Choir. The children sang The Rattling Bog, Maggie Maggie Magpie, Catch a Falling Star, Shake the Papaya, and Rudolph the Red Nosed Reindeer. The children’s voices filled the foyer of Parliament House creating a sense of joy. It was wonderful to have the support of so many families (and politicians!) on the day.